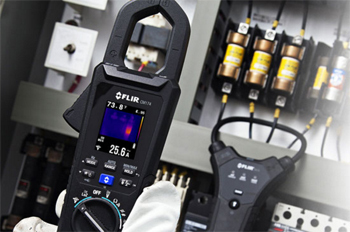 The FLIR CM174 Imaging 600A AC/DC Clamp Meter is the only clamp meter with the power to lead you to problems you can’t see with a standard clamp meter. 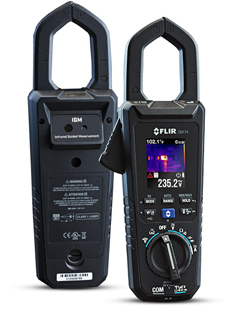 Featuring Infrared Guided Measurement (IGM) technology powered by an integrated FLIR Lepton® thermal imaging sensor, CM174 visually guides you to the precise location of a potential electrical problem, identifying dangerous and unknown problem areas safely. 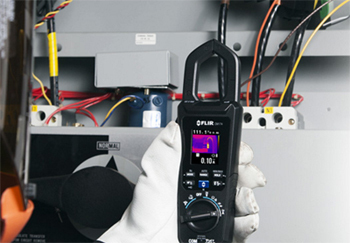 The CM174 is a convenient, all-in-one tool, so you can always have thermal imaging at your fingertips. Visually identify electrical issues without requiring direct contact with panels, cabinets, or cluttered wires and cables that may present safety hazards. No matter what obstacles are in your way, IGM can quickly guide you to the problem. Verify problems, check load, and validate hot spots. 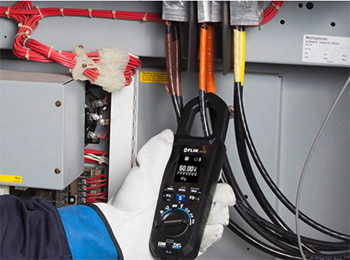 Get accurate amperage and voltage measurements and center-point temperature readings. A built-in laser and crosshair help you pinpoint the location of the problem. The CM174’s intelligent design features a narrow jaw and built-in worklights to help you access difficult locations with lighting issues. Advanced electrical features allow you to get all the readings you need to solve problems fast, including True RMS, LoZ, VFD Mode, Inrush, and Smart Diode with Disable. 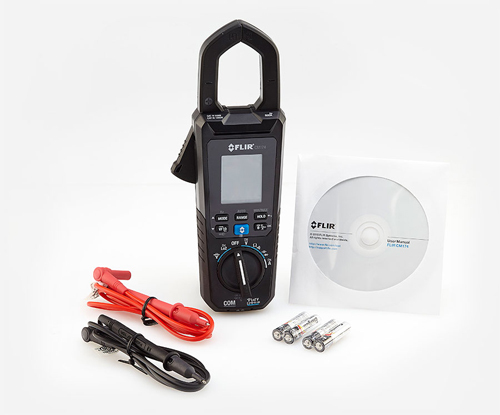 Plus, the CM174 is expandable to 3000 Amps AC with FLIR FLEX accessories.